Last week I typed out each of the 98 names on the archival list into a spreadsheet, along with the hometown, date of death, and age at death. I squinted at the photocopies from the mid-1980s, making sure I got every detail correct. I also found myself tearing up, thinking about these living, breathing, human beings, their suffering, and the people who loved them. The fact that many of the entries in the age column included newborns, infants, and toddlers, did not help one bit. Having spent time living and working in, and writing about the North, I felt a proximity to the people behind the names. I’ve been to Whitehorse and Inuvik, and Old Crow and I recognized a lot of the family names: Moses, Charlie, Dickson. I reached the second last entry on the list and my breath caught in my throat: Winnifred Anna Lyall. Spence Bay. March 31, 1956. Aged 1. I’d read a memoir by Ernie Lyall called An Arctic Man while researching my last book. If you read this blog yesterday, his name might ring a bell. He was born in Labrador and went to work for the Hudson Bay Company in the Eastern Arctic. 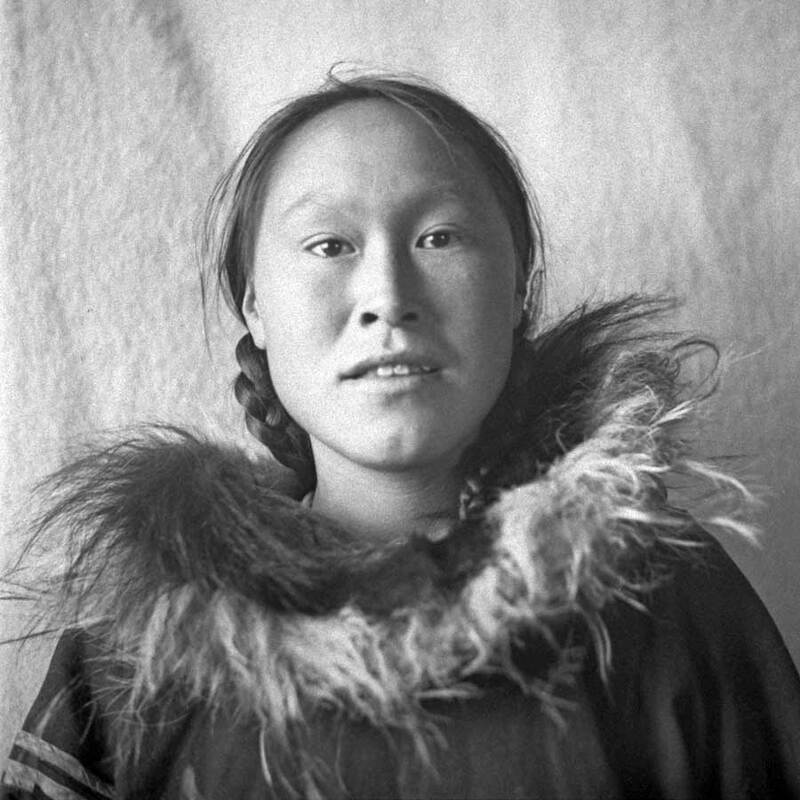 I knew he had married a local Inuk woman, Nipisha, and they had lived in Taloyoak (formerly Spence Bay). Could this be a relative of theirs? 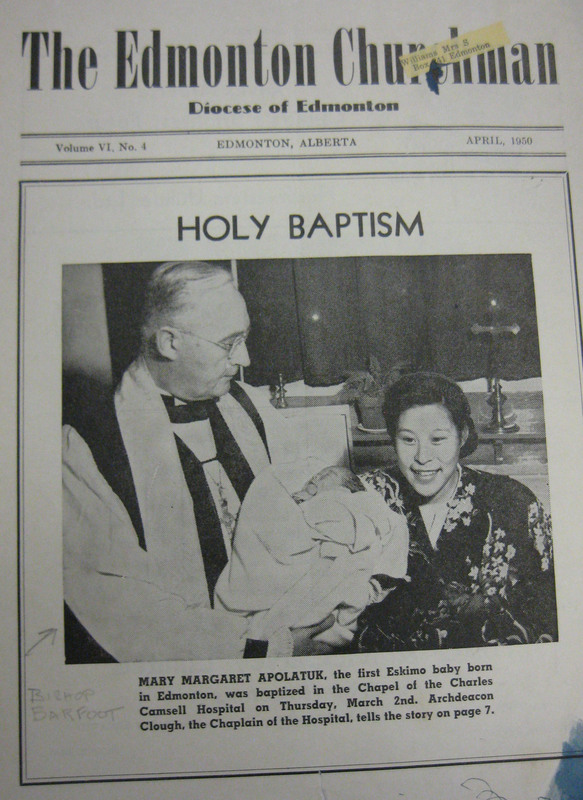 I went back through the newspaper clippings from the St. Albert Heritage Museum archives and there was the answer. Andrea Maynard, a local reporter, had spoken with Nipisha Lyall and her daughter, Sylvia Lyall-Ritchie in the late 1980s. According to the article, Nipisha had come to Edmonton for an operation after a stroke. After convalescing she had gone in search of her daughter’s final resting place. “She scoured the St. Albert cemetery for an entire day in 1988, searching for the grave of her infant daughter who died 32 years earlier. 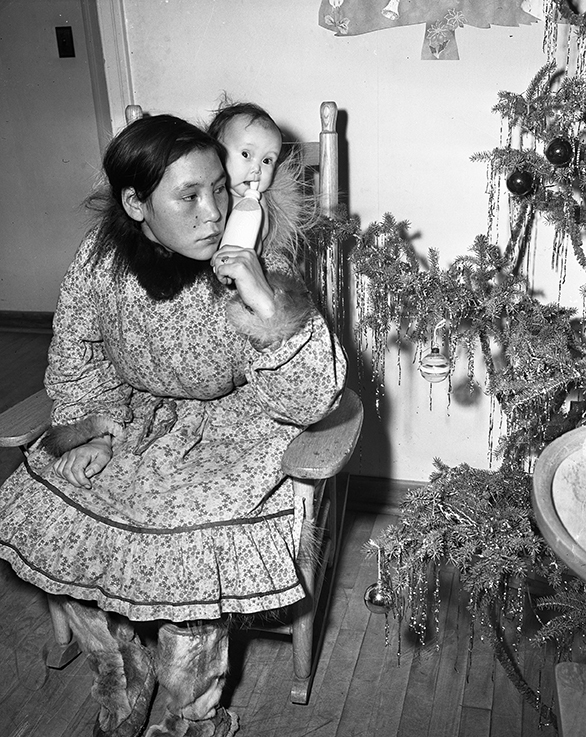 But the 72-year-old Inuit woman returned to her Arctic home, 2,000 kilometres away, weary and disappointed…..Mrs. Lyall and her one-year-old daughter made the journey from Spence Bay in March 1956. The infant was suffering from an ear infection. ‘One day, the baby was OK. The next day she was sick and, the next day, her lungs collapsed. She died instantaneously,’ says Mrs. Lyall’s daughter, Sylvia Lyall-Ritchie, who translates her mother’s Inuktitut. As the mother of a toddler myself, my heart broke reading this article, especially since I knew from reading her husband’s memoir, that they had had to send their children to residential school for five years during this period. Luckily, the internet tells me that Nipisha didn’t die until 1998, at the age of 80. I hope she knew about the cairn and that knowing where Winnifred’s final resting place was brought some small measure of peace. Based on my count, there were thirty-one tiny coffins. Thirty-one children aged four and under who are listed on the cairn and buried in the Aboriginal Cemetery. While I don’t know their exact causes of death (National Archives in Ottawa has a lot of patient files from the Camsell, but due to privacy issues, they are restricted for quite some time), we can probably assume many died from TB. As you can see from the photo above, women gave birth while at the Camsell Indian Hospital. Some arrived pregnant while others developed the condition on site. I learned that pregnant women with active forms of TB had a 50% chance of giving birth to a baby who would develop the disease within a year. The Merck Manual website notes that a newborn with TB “may look acutely or chronically ill and may have fever, lethargy, respiratory distress or non-responsible pneumonia.” Others had enlarged inner organs or simply “failed to thrive”. So even if your kids are driving you up the wall tonight – as my little terror is these days – give them a squeeze, and be thankful that TB risk is very low in Canada today. Unless you happen to be living in some indigenous communities, it seems. Then, according to this Federal Government fact sheet and the documentary below, it can be quite high. Sometimes history isn’t so far in the past. My grandmother Nipisha’s oldest grandson, Wilfred, found Winnie’s grave and after placing some flowers there, took a number of photographs to show our grandparents. Anaanak showed me the photo album while recounting the story of that trip to me. I remember being struck by how happy and sad she was at the same time. It gave her a great deal of comfort to know where her daughter was laid to rest. I can’t recall the exact date, but due to the power of internet, you are sure to hear from many of us. Cousin Brenda has ‘shared’ this link on facebook. Thank you for the touching words and for documenting a very important part of our family’s history. Janet, the power of the internet indeed! Here I am in Starbucks trying very hard not to cry reading your lovely message. Your grandmother sounds like she was a very strong woman who raised a wonderful family of folks who have gone on to do great things in the North. I am so honoured to be connected with all of you through this post and project.